The Garmin Zumo was first introduced in 2006 for motorcycles. Garmin realized that TomTom was dominating the motorcycle spaces with their TomTom Rider and introduced these to compete with TomTom. This line of GPS has been very popular with motorcyclists and Garmin has introduced ten Zumo models to date. Surprisingly, not all Zumo models come with a motorcycle mount in the box which never made a lot of sense to me. This article will discuss mounting options for the Garmin Zumo line of GPS devices. The Garmin Zumo motorcycle mounts we will discuss in the following few paragraphs apply to the 350LM, 390LM, 395LM, 450, 550, 590LM, 595LM, 660, 660LM, 665 and 665LM. That’s every Zumo model except the 220. The most common option is as included with the Zumo in the box when you buy it is the Garmin Zumo RAM Mounting Kit. This is a mount that will attach to the back of the Zumo cradle using the bolts and screws that came with the motorcycle cradle that you likely received in the box with the GPS. The square plate uses the standard 4-hole AMPS pattern. Use the square metal top of the mount to line the screw holes up with the back of the cradle. There is a metal arm that supports a ball and socket system. The base has a dual mounting option. Most will use the u-bolts that comes with the mount to attach to the handlebar. Some, especially those that ride Honda Goldwings as well as some Harley owners will use the brake or clutch options. The brake / clutch options will require you to remove the factory installed bolts and replace them with the bolts that are included with the mount. You may also use the spacers that are provided depending upon your model of bike. Instructions to do this are included with the mount. By the way, here’s a money-saving tip, consider the RAM Mounts U-Bolt with Short Arm and Adaptor for Garmin Zumo. If it looks familiar, it is the same components as Garmin has these manufactured for them by RAM. My suggestion is to purchase the RAM Mount, save a few dollars and benefit from their lifetime warranty. There are many other options for mounting a Zumo to a motorcycle. Another popular option is to use a RAM Fork Stem Motorcycle Mount. This mount will attach to the stem hole on many motorcycles. The mounting kit includes a bolt and a plastic cone that you can cut to fit the stem hole. The plastic cone can be cut from 12 -20mm and 28mm or .5” – 1.10”. You can use the mounting diamond of this mount kit to attach to the upper right and lower left holes of the back of the Zumo motorcycle cradle or if you prefer, replace the top of the mount with the Ram Mount 2 x 1.7 Inches Base with 1-Inch Ball that Contains the Universal AMPs Hole Pattern. 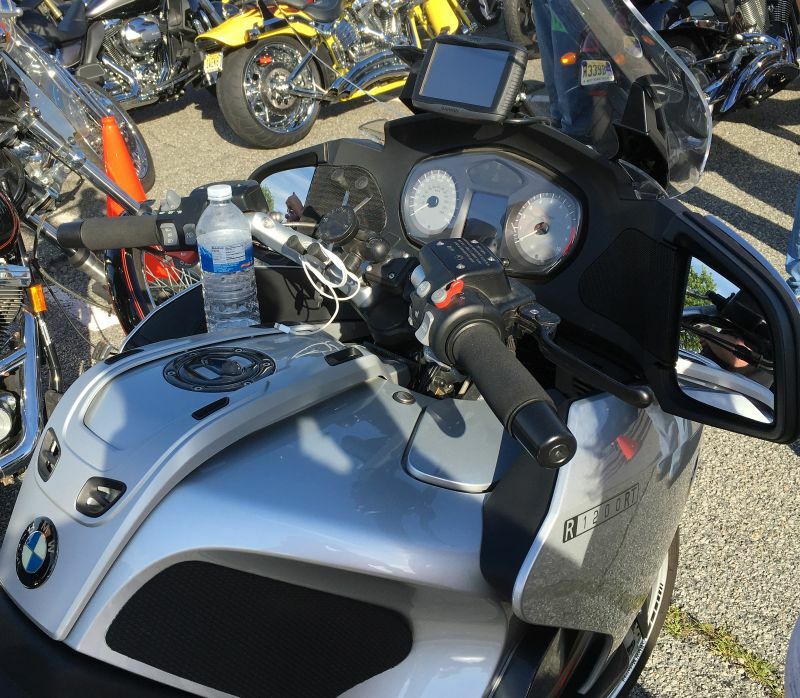 Another popular mount for a motorcycle is the Ram Mount Double Ball Motorcycle Mount with Offset Base which is very popular with many BMW models. Many riders will notice some glare once you have this mounted on your motorcycle. Fortunately there are some nice inexpensive solutions available to shield your unit from glare and we discussed these options in an earlier article which you can read here.